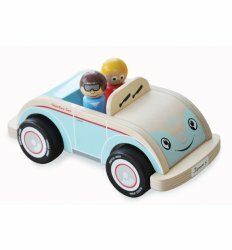 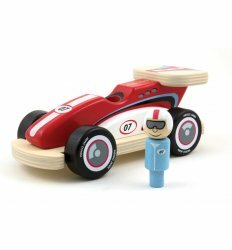 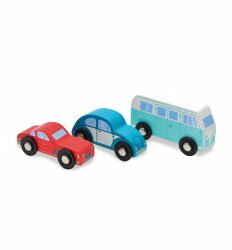 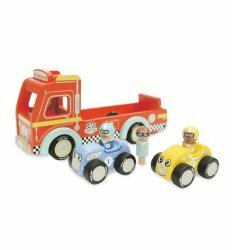 These lovely little wooden cars are classic in every sense. 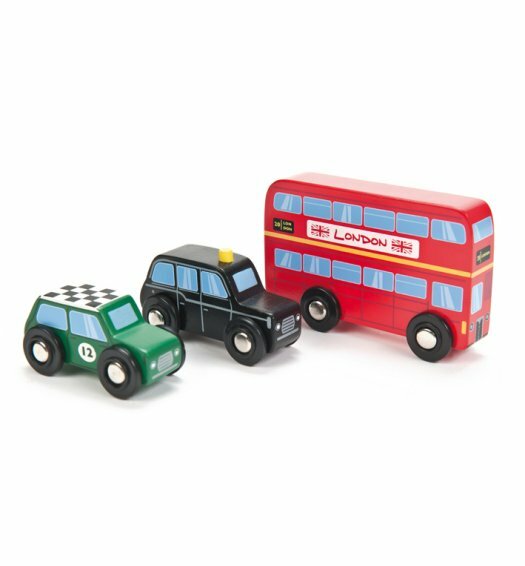 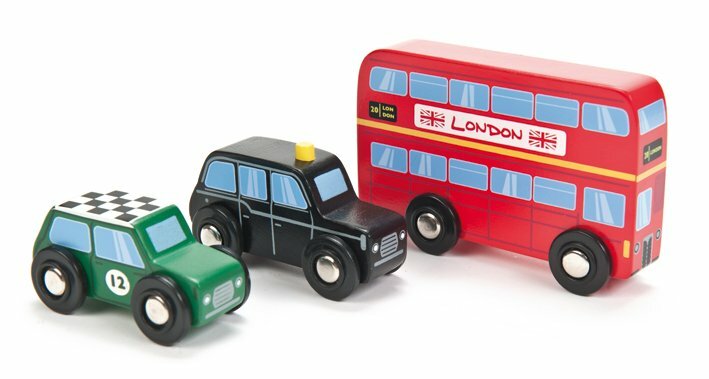 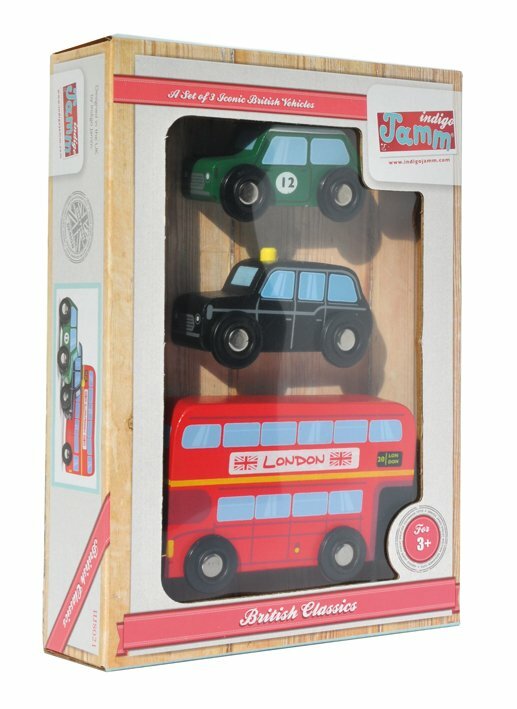 A brightly painted set which includes a Taxi, a London Bus and an iconic racing green car. 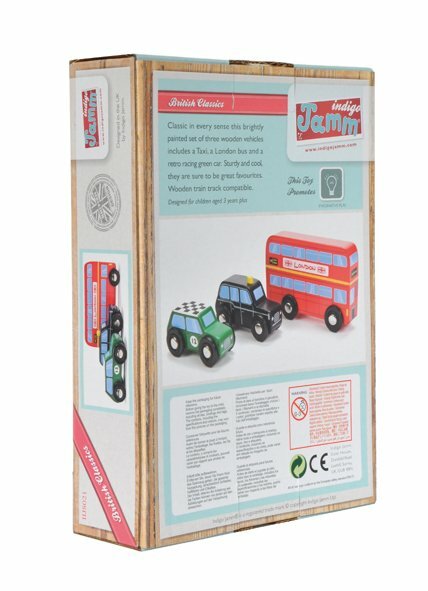 Sturdy and cool they are sure to be great favourites for years to come. 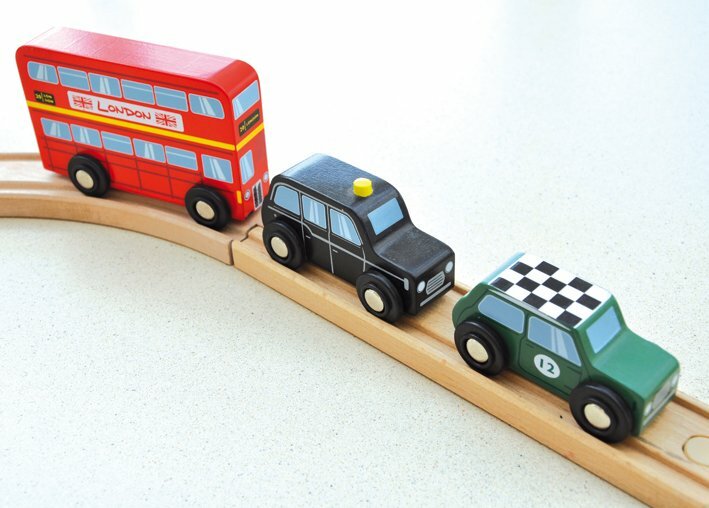 The vehicles are wooden track compatible.